Sometimes children do not obey their elders, engage in misconduct that cannot be left unnoticed. The output of one sentence. It should not be cruel, it must be an educational lesson. Patience, love, consistency of action, calm. Don't allow the situation to inflame. Punish the child being in a calm state, not in anger. Punishment is not revenge, humiliation and resentment. Do not resort to corporal punishment unless absolutely necessary. By punishing the child, consider the severity of his offense and his age. Children under the age of 2-2,5 years, almost pointless to punish in the truest sense of the word. Here, rather, we should speak about the exception of situations that trigger the baby to disobedience. Aged 2 to 4 years the child is aware of himself as a person begins to understand which of his actions are pleasing to others, and what upset or annoyed. Despite the fact that understanding has come the ability to control his behavior was inconclusive formed. At this stage of life in children there is a "Deputy" who does all the outrages that mad parents and friends. This allows the child to be free from feelings of shame, because most of what happens does not it, and someone else. More talk to your baby. Try to believe that the child is not deceiving you, claiming that it is "nahuliganil Bunny from the forest." The fact that the kid is still very easy to confuse fantasy with reality. The task of parents is to understand why the child did it. Ask him, talk to him and help fix the situation. If you are intimidated by the kid, and he's not afraid of your anger or condemnation, he is likely willing to with you chat. Don't forget that at this age kids often go against their parents. And they do it not because you don't want to be with you, they just need to feel some independence, their possibilities and their limits. If you start to punish the child, you will begin a battle with no winners. Express their dissatisfaction with the behavior of the child is available for his age, explain to him that you are disappointed in his behavior/action. If you see that the child is worried about perfect offense, not to aggravate these feelings. Try to support it. The main thing that the kid realized what an accomplished fact more or less fixable, he is human and can make mistakes. Explain to your child how next time to try to do things differently and avoid trouble. Realizing this, the child will learn to treat themselves and their behavior more critically. If he does not understand that, for example, the power taking or breaking someone else's toy, he did something bad, you have to think very seriously. It is possible, bringing up baby, you're so afraid to disappoint him with news that he is in something wrong, the child is generally not ready to admit it, to perform certain actions. Even if you decided to resort to corporal punishment, remember that enough light slap with his palm at the priest of the child. And you must do it only in extreme cases. 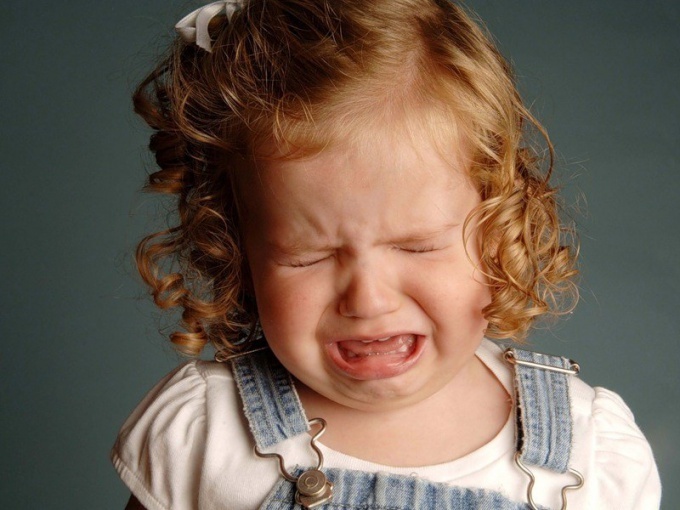 If your child has frequent tantrums, consider how and why you punish him. Consult a child psychologist to solve the problem.